If you are someone who always dyes your hair, wigs will probably turn out to be less expensive. If you wear maybe two wigs, say they cost you $20 each, for several months to a year, that is a whole lot cheaper than going to the salon every month or two to recolor your hair. You just have to take good care of your wigs. Also, your hair can grow out and heal without being disturbed by chemicals. Winter is coming, it’s pretty good to have a long wave hair, matches your coat or floor length dress can be really eleagnt! With the color that is close to your natural hair, people even can’t find out you have a wig in your head, it will be really amazing! Or with the popularity of wigs, people choose more colorful wigs to express their mood in every day, so it’s also a sign of fashion to wear a wig! 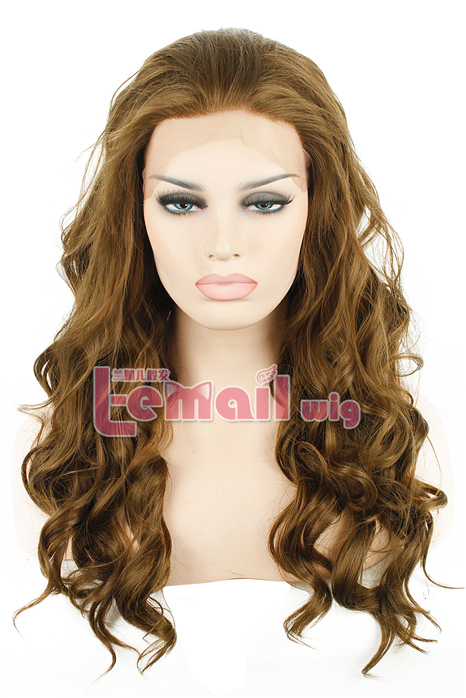 This entry was posted in Fashion Wigs, Human Hair Wigs and tagged brown color wigs, cheap blonde wigs, long wave wigs, synthetic fashion wigs.